As some 70,000 Boston college students were preparing to move in to their new dorms or apartments in advance of the school year, Boston city code workers were busy conducting thousands of inspections. What they found, according to The Boston Globe, was quite troubling. 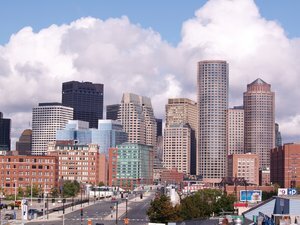 Boston mesothelioma lawyers understand that in addition to fines and abatement orders for everything from rodents to bed bugs to plumbing problems, landlords were also cited for asbestos issues. Asbestos exposure, of course, is toxic when the fibers are disturbed and inhaled. A deadly cancer called mesothelioma is the result of this exposure, though it is not diagnosed until years, or decades, after the fact. While it’s well-known that asbestos was widely used in countless products and building materials through the 1970s, it’s used less today. However, it’s not uncommon for older buildings to contain the material, in insulation or flooring or plumbing. It’s typically not going to pose any great health risk if it’s not disturbed. The key is to properly remove it, and Massachusetts law requires a licensed third party to do so. However, it can be quite risky if the fibers are exposed. In one case, an apartment in the Allston neighborhood, on Ashford Street, reportedly had exposed asbestos in and around the boiler room and also the laundry room. It was so deteriorated that hazmat crews and firefighters had to be called to the scene. Of course, it’s encouraging that city officials are taking such a firm stance in pressing landlords to address these issues, which would likely otherwise be overlooked. On the other hand, it’s upsetting that such issues went on presumably undetected or unaddressed for several years prior. Students who were set to move into the asbestos-laden building have been put up in a hotel room until the problem is mitigated. In all, code inspectors issued 2,800 fines for sanitary code violations and 20 fines for housing code infractions between Aug. 31 and Sept. 3. Roughly two-thirds of the trash and sanitary code violations and about 50 percent of the housing citations were issued in student-saturated neighborhoods, namely Allston and Brighton. Boston Mayor Tom Menino, who launched the 2012 Student Turnover Campaign, along with City Inspector Bryan Glascock, announced that this was just the beginning of increased enforcement efforts on the part of the city’s code enforcement office to halt violators and protect rental tenants, particularly students. The city’s Environmental Services Unit is also expected to be involved. Some of those actions will be based on complaints, but others will involve more regular, routine inspections. Requiring landlords who live out-of-state to have a local contact to represent them. We applaud the city for taking these actions, and we hope it will prevent more people from being exposed to asbestos, thereby reducing the ongoing risk of mesothelioma.